Lets us pray for Japan and her people. Update some pictures from Yahoo News. 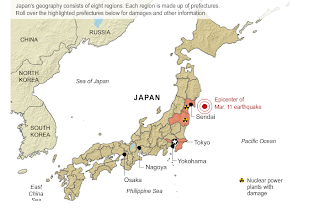 TOKYO, 11th March 2011 - The biggest earthquake on record to hit Japan rocked its northeast coast on Friday, triggering a 10-metre tsunami that killed hundreds of people and swept away everything in its path. Thousands of residents near a nuclear plant in Fukushima prefecture, north of Tokyo, were told to evacuate as a precaution after the 8.9 magnitude quake, but the government said no radiation was leaking. The tsunami happened around 2.46pm. 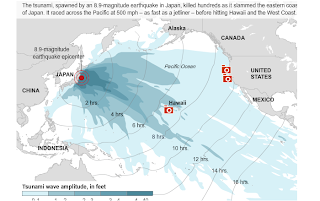 Tsunami alert has been issued to Philipines ,Taiwan, Indonesia and even Oregon. Other Japanese nuclear power plants and oil refineries were shut down and one refinery was ablaze. 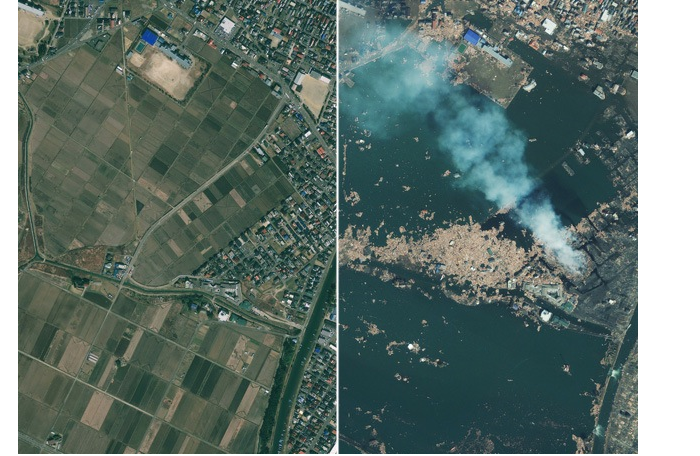 Television footage also showed an intense fire in the waterfront area near Sendai, the city hardest hit by the quake. A major explosion hit a petrochemical complex in Miyagi prefecture after the quake, Kyodo said. Political leaders pushed for an emergency budget to help fund relief efforts after Japanese Prime Minister Naoto Kan asked them to "save the country", Kyodo news agency reported. A massive 8.9 magnitude earthquake has hit the northeast coast ofJapan triggering a 13-foot tsunami. At its source, experts say the quake was 8000 times the strength of the quake that devastated Christchurch last month. There are fears that the tsunami could reach as far as Australia, Mexico and Hawaii.